« What job would you do in space? Bad news first: it looks like the Thermal Evolved Gas Analyzer (TEGA) instrument may have a short circuit in the mass spectrometer. I really hope they get this cleared up, because as I discussed before, the mass spectrometer is crucial in determining whether there are organic molecules or possibly life in any soil samples. 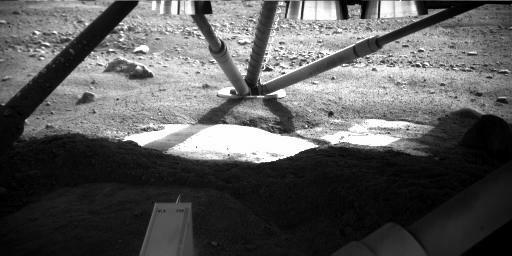 This entry was posted on May 31, 2008 at 11:31 am and is filed under Astrobiology, Phoenix, Pictures, Water on Mars. You can subscribe via RSS 2.0 feed to this post's comments. Both comments and pings are currently closed.